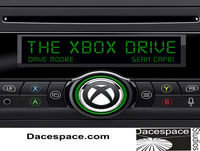 The Most HorsePowerful Podcast On The Internet, The Xbox Drive is back with Episode 80! Sean is playing Overload and The Division 2! Luke joined up with The Division 2. Buckle up and drive safe! Sean: Overload, The Division 2. Resident Evil 2. Google Stadia has been announced. Cloud based platform, no physical box. 1080p - 8K as connection allows, low latency, transfer saves and progression across any Chrome enabled device in near real-time. Controller available, utilizes aspects of the Switch Pro, DualShock 4, and Xbox One controllers. Includes a share button straight to Youtube. This is obviously industry shaking. How does this influence the launch(es) of the upcoming consoles? The Xbox Drive poll: In the wake of the #Stadia announcement and given current positioning, which of the 1st parties has the most work to do to prepare for next gen? Phil’s Email to the Xbox Team. Apex Legends releases it’s Battle Pass. No Man’s Sky receiving a major update this summer, bringing more extensive multiplayer features. Lucasfilm Games has been unexpectedly resurrected by Disney. Largely focused on publisher and brand manager positions, some artists positions available. Does not look like a developer..yet. Cuphead is coming to the Nintendo Switch on April 18 with achievements from Xbox Live. Sea of Thieves has fishing, The Division 2 is fixed, Anthem is getting content, MCC. Game distribution seems ripe for cloud based gaming. Eric Green: @ TheArtOfBacon How about those Castlevania and Contra Collections?